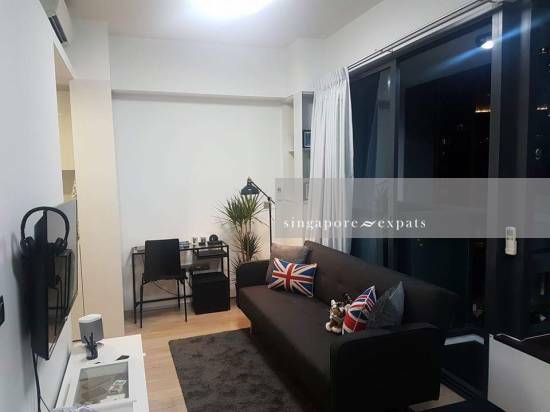 Beautifully presented 1 bed modern studio condo with a designer bathroom and fully integrated designer kitchen with electric oven, hob, wine fridge, large fridge/freezer, washing machine/dryer and large HD Digital Ready TV. 16th floor private balcony overlooking swimming pools and tennis courts. Tallest residential property in Singapore with many private residential facilities including gym, tennis courts, pool, multiple jacuzzi's, function room, BBQ area, and resident terraces on 7, 32, 53 and 72nd floors. 24 hour concierge and security. 7 min walk to Asia Sq and 5 mins to Club Street. Numerous shops, cafes and Coldstorage within 1 min from the complex. Available on 3 Feb 2019. If taken for 3 Feb it will be FULLY FURNISHED, otherwise partially furnished. Call/WhatsApp for viewings and I will put you in contact with the certified agent responsible for letting the unit.